It will be one of the only Grade A properties of its size in Oxfordshire following a refurbishment. 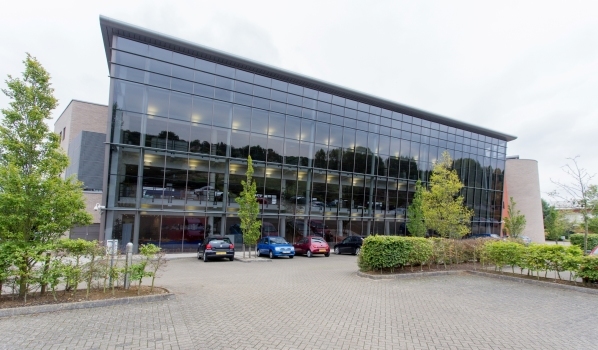 Property address and description: Swan House, Abingdon Business Park, Abingdon, Oxfordshire, OX14. The modern, self-contained office building is due to undergo a full rebranding and refurbishment exercise. It will result in the site offering one of the only Grade A properties of its size in the Oxfordshire marketplace. Agent handling the sale: Lambert Smith Hampton, Midland House, West Way, Botley, Oxford, OX2 0PH, and VSL. Who is the vendor? TIAA Henderson Real Estate, a global property investor. Where exactly is it? Swan House is prominently located on Abingdon Business Park, which is one of the main commercial centres in Oxfordshire. The park is accessed directly from the A34 Marcham interchange. It is set within 50 acres of mature landscaped grounds and provides approximately 440,000 sq ft of mixed-use space. What lease lengths are on offer? The property is available by way of a new lease direct from the landlord for a minimum of five years. How much of the building is occupied? The building is fully vacant at present. What other businesses are located nearby? Local occupiers include domestic appliances businesses Smeg and Miele, oilfield services firm Schlumberger, DNA testing services provider Orchid Cellmark, international analytics, software services and consulting company Tessella, and GE Healthcare. Where is there to go for a sandwich at lunchtime? Abingdon town centre is less than half a mile away and provides a Costa Coffee, Pizza Express, Ask, and a variety of other eating establishments and shops that you would expect of a town centre. Even closer to home, there is a supermarket, café, and sandwich bar all within walking distance, as well as the Fairacres Retail Park, which offers a range of well-known high street brands. What is the traffic and transport like in the area? The A34 is easily accessible from the property, which allows people to go on to Oxford, the M4 and M40. Didcot Parkway train station is also a 10 minute drive away, from where London Paddington can be reached in 40 minutes. What is the forecast for the local commercial property market in the next five years? Is my rent likely to rise? The availability of good quality office accommodation in the Oxford market is chronically low. There are currently only two buildings that can provide self-contained accommodation between 25,000 and 30,000 sq ft. Swan House is the only property in this size bracket that, once refurbished, will provide Grade A office space. Other newly built accommodation nearby have achieved headline rents of £25.50 per sq ft, which highlights the excellent value offered by Swan House. What is the history of area and property? Abingdon is a historic town located on the River Thames. It is also situated in the Science Vale UK area, which is a global hotspot for enterprise, innovation, science and high technology. Swan House itself was developed in 2001. What does it feature and what is its biggest selling point? Swan House will undergo a comprehensive refurbishment and will eventually provide a self-contained Grade A office building totalling 27,700 sq ft. It will have open plan floor plates, a four pipe fan coil air conditioning system, fully accessible raised floors, lifts to all floors, a glazed frontage and atrium area, a remodelled entrance, and substantial car parking of 1:2 sq ft.
Will the running costs leave a dent in my pocket? The building refurbishment programme should increase the energy efficiency and sustainability of the building, which will therefore reduce overall running costs. What can you do to avoid being gazumped?